Here talks Janina. Stay up-to-date and comment on updates. It's THAT time of the year again! Less sleep for me and more updates for you. 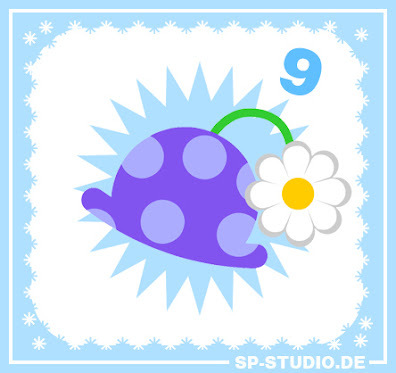 A new SP-Studio item will be reaveled every day until Christmas. 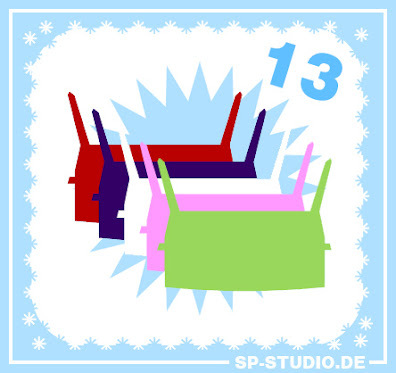 Because most people don't visit the news blog I decided to put the Advent Calendar right onto the main page of sp-studio.de. And it will stay here as well, so you have a place to comment on the updates. I hope you have a wonderful Christmas time! I hope this might bring him back . 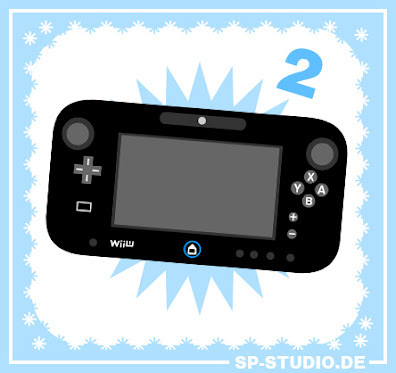 Day 2 brings a Wii U Controller, because I got one (welll... the whole console of course) two days ago and have a lot of fun with it. It's very cold outside, so this new, warm coat is the best thing to wear. 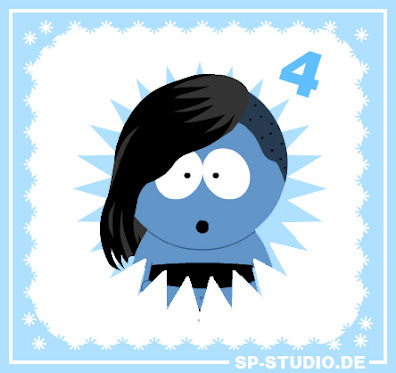 Of course www.sp-studio.de only uses fake fur for its clothes! Since the holiday season is in the heart of the cold/flu season, how about a box of tissues for the sufferer to blow their noses. There could be some used tissues to scatter about a trash basket because we throw used tissues at the wastebasket and only put half to a third of the used tissues in the basket. So, there also should be a reddened nose common to cold sufferers. I know the clown nose is red, too but this would be to create an ailing charicter. The bloodshot eyes are already available. Enjoy the season. @cmdrflake: The tissues are a great idea, maybe they will come . As part of the Christmas Special a new hair-style was added today: a sidecut. Today's update is for the Batman fans: Bane's mask from "The Dark Knight rises"! I do not add special things like that very often, but I saw a lot of Bane related pictures on the internet lately and think he is famous enough. 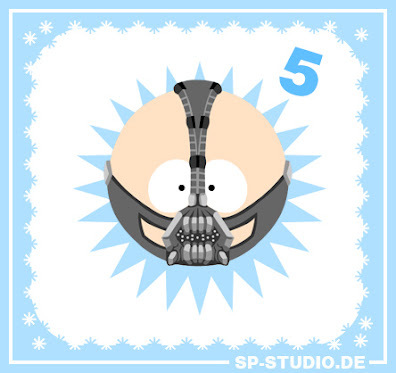 I guess there are many people out there who'd like to add this mask to their avatar. And it was much fun to draw, not easy to get it right . 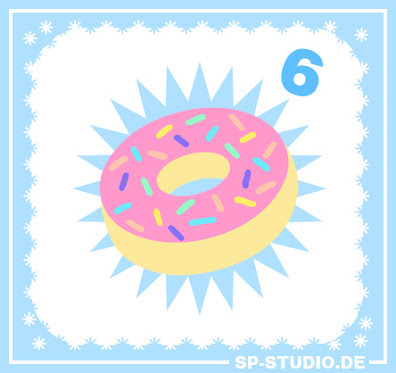 Here comes a tasty donut inspired by a popular wish in the wish voting gallery. It might be cold outside, but a swimming pool background is never a bad idea. 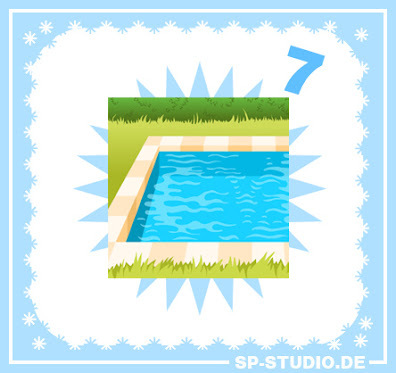 Let your SP-Studio characters enjoy the water . The Christmas Special continues with a boomerang. I'm going to make a spooky prediction that we'll see a few of those in the current contest. Funny clown hat time! 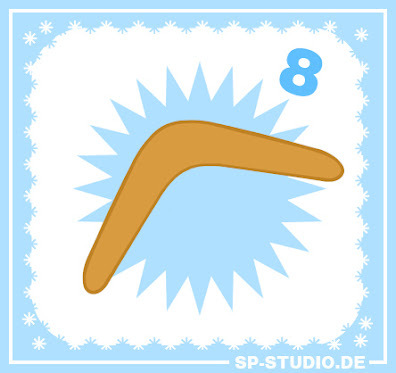 This new fashionable item will bring true comedy to www.sp-studio.de. 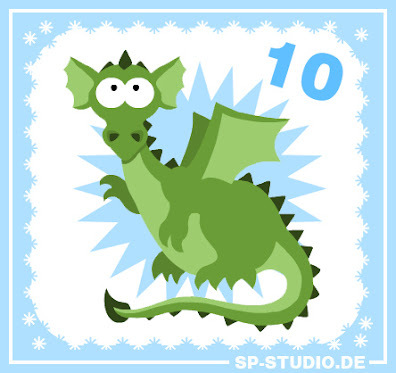 Christmas update #10: A pet dragon! Isn't he cute? But be careful when he sneezes. 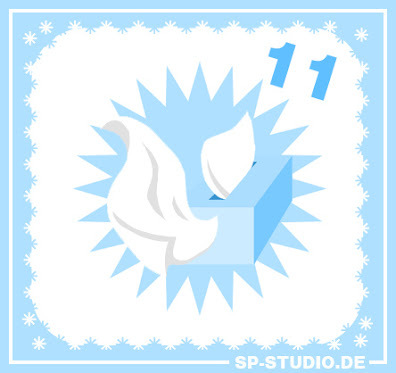 Sorry for being late, but for the 11th day of the sp-studio.de Christmas Special I included two new objects: a tissue to hold in the hand of your character and a box of tissues (as wished by cmdrflake ). 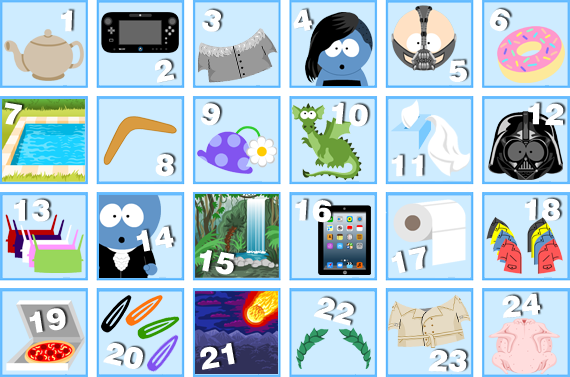 Catching a cold is easy at this time of the year, so be prepared! 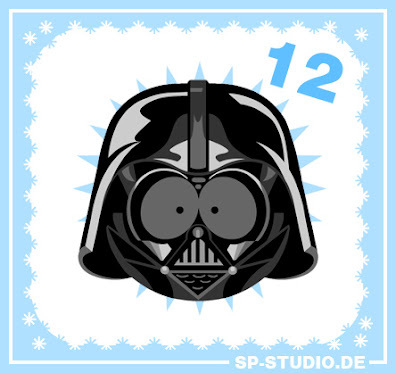 You begged for years... here comes one of the most requested items for sp-studio.de: A Darth Vader mask! Star Wars fans can now dress up as their favorite villain. When people stopped begging I started drawing . Spoiler alert: the apron's been added! Awesome, thanks Janina. And here's the picture . I guess I can delete Chef's red shirt with the white apron now? Or should it stay in case you want to make twins? Personally, I'd say all out-of-date items should stay in anyway, just for the sake of completeness. Remember what happens when you delete stuff? !